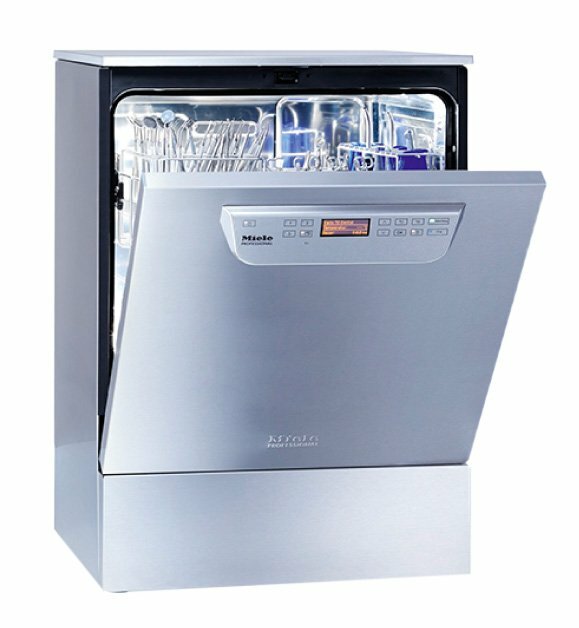 Miele Thermal Washer Disinfector with hot, cold and AD water connection, liquid dispensing and EcoDry function. The heart of perfect results – Exclusively for Miele Professional: the wash pressure is perfectly tailored to the changing requirements. Quick drying: at the end of the reprocessing programme the appliance door opens automatically. Perfect hygiene through optimised geometry and laser welding. The wash pressure is monitored for perfect cleaning results. The serial interface facilitates the exchange of data with other appliances, e.g. for process documentation. The Ethernet interface enables cable-supported communication in the local network. Short service times thanks to maintenance-optimised appliance design. Additional hygiene: the heating elements are installed outside the wash chamber. Safety through the clear documentation of all the reprocessing steps. Very slight pressure against the door is sufficient to activate the AutoClose feature. Everything at a glance: the display shows everything as clear text in the country-specific language. Quick and convenient access to frequently used programmes. Ergonomic convenience: the in-door salt container is particularly easy to fill. ALLDENT are can provide expert consultation and installation of the Miele Thermal Disenfector. We provide comprehensive service & maintenance and after sales support. Located in Port Melbourne, we would welcome you to come and have a look around our showroom showroom which holds a range of dental equipment. Someone from our sales team will be on hand to guide you through all the information you will need and consult with you based on your requirements. Give us a call on 9646 3939 to make an appointment.